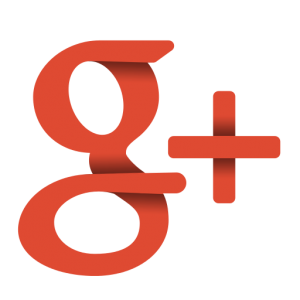 Why Google Plus Matters To Your Business? Google Plus has a big user base of over 343 million people (in 2014) and it’s growing at an accelerating rate! 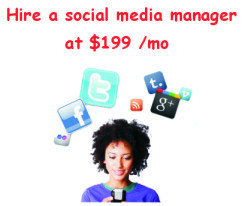 Be cognizant of Google plus for it has unlimited space for pictures, videos, and valuable information storage! After all, it is promoted by the biggest tech platform on the globe. Unlike Twitter, it has lots of space for unlimited character posts and updates. Everything on Google plus is automatically indexed by Google. So your search engine results are positive. A study by Optify reveals that the sites that get featured on the first few pages of Google-the search engine- have a click rate of 55%! Now that’s amazing! An array of resources on just one platform! You name it, YouTube, Google apps, Gmail, Hangouts, Google itself and lot more! Google Plus has the cool ‘communities’ application feature. It allows people to come together, form a group about particular interests. It’s way more interactive yet private than Facebook. Not just that, it’s unique and different because these communities can be the next brand with which you can easily interact with your influencers, demanders, potential customers and people interested in your offering! Forbes suggests that every marketer should be on Google Plus because although it may seem like a ghost town for now, now is the time to get onto it and get the lead user perks and feedback before everyone else also jumps on the bandwagon. The Google plus reviews give you insights you can’t otherwise reach. Use the Google plus Ripples feature to check out who has shared and reshared your posts and other nerdy data statistics regarding your activities. You can know the details of any post by clicking on the drop down box on the top right of a post and then select ‘’View Ripples’’ and you’ll get data insights visualized for you. Create a poll and ask people to vote. List down the options in the post, disable the comments and VOILA! You’ve got a poll. Utilize the poll to generate traffic on your circle, different communities, get feedback, and engage the customers and so much more! Google plus is an amazing resource for connecting with your audience in an interactive way that’s free! Use Hangouts on Air to interact with your (lead) users via live demonstrations that can be broadcasted or viewed as live later, debates, and online conferences that can be synched and automatically uploading Youtube and so much more! Last but not the least, you can be the place where your consumers want to be!